Frank Samperi was born in Brooklyn in 1933. A contemporary of Louis Zukofsky and Cid Corman, he published some twenty books of poetry and appeared prominently in journals such as Origin and Caterpillar. He died in Arizona in 1991. The present volume collects together for the first time three key works from the 1970s and includes appreciations by Robert Kelly, Peter O'Leary and Elizabeth Robinson. Frank Samperi’s core trilogy of books (The Prefiguration, Quadrifariam, Lumen Gloriae) occupy a liminal space, that of an unwritten addendum to Dante’s Purgatorio or a preface to his Paradiso, or something like the sudden, hazy emergence of a city bridge at twilight. Weighted & weightless as light’s filigree, the Trilogy traces the double-work of ‘vision’ with a modest, steady loop; transmissions passing between the observing body & the worlds that envelop it. Never giving in to complete abjection—the poet laid prone and bare—this work instead engages a seemingly slight, yet purposeful movement; verses slowly chipping away at a blacked-out window, little streams of light at the effort. And as the living body, in its basic workings, is always spiritual, always drawing and channeling its own spiritus, Samperi as the modern man & the man out of time, brings the body back into the work of the spirit. Experiencing this remarkable lyric cycle of flesh and soul feels akin to ‘being made whole’. For two decades these books have gone with me everywhere, so that now they’ve become lenses that identify — the silence greater because of the roofs — old doors / at the edge / of a lot — that one writes for angels, and that the poet is ever an orphan in this world, with language itself — la lingua degli angeli — a lost inheritance. One remains a wayfarer at the end of each poem, sequence and volume. Still there is spiritual progress, further impoverishment, ascesis. 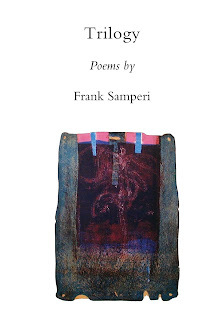 For Frank Samperi, poems are facets, and the final book a multidimensional crystal, a window beyond him and all his readers. And to read him is to be carried beyond. 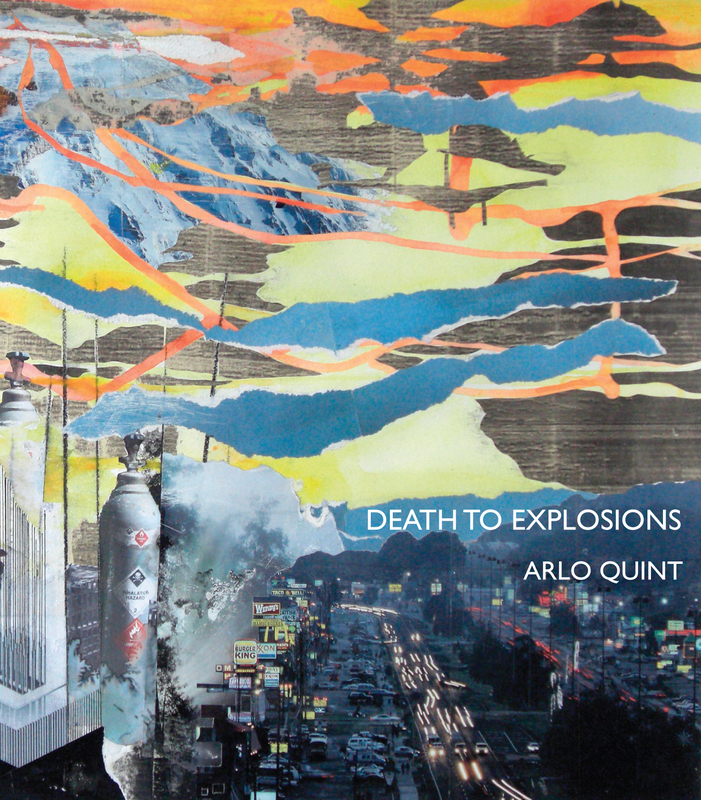 Arlo Quint’s earmade works in Death to Explosions are iambicless sneakers on variable feet complete with minitundra of great sounding sentence-y lines. Like all works that stay interesting these three series form an attention pool rereading widens from the beautiful edge of meaningless to plain spoken beauty’s spot quizzes and test of time. Step in this river twice. 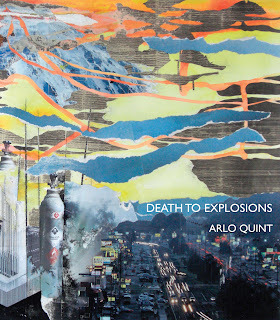 Arlo Quint handles his lines and their turns with a combination of unadorned care and demand that for me, right now, has no equal. When experiencing his work I get immersed in the range of perception, the corresponding sensitivity to particulars, the wry tonal variations, and something like a measured velocity of presence holding it all together. When not experiencing it I merely burn with pleasurable envy. Arlo Quint’s poems have the remote, enraptured quality of the lines that Orpheus copies down from his car radio in the Cocteau film, Orphée. Like those, they create a thirst for themselves that is never entirely quenched. "I really come from the beyond / and no messages from Jersey / and no apologies from the moon", he reveals. Mostly compact and sonnet-like, with four or five words per line, each of his messages is like what the poet P. K. Page called "a telegram as solid as a brick."